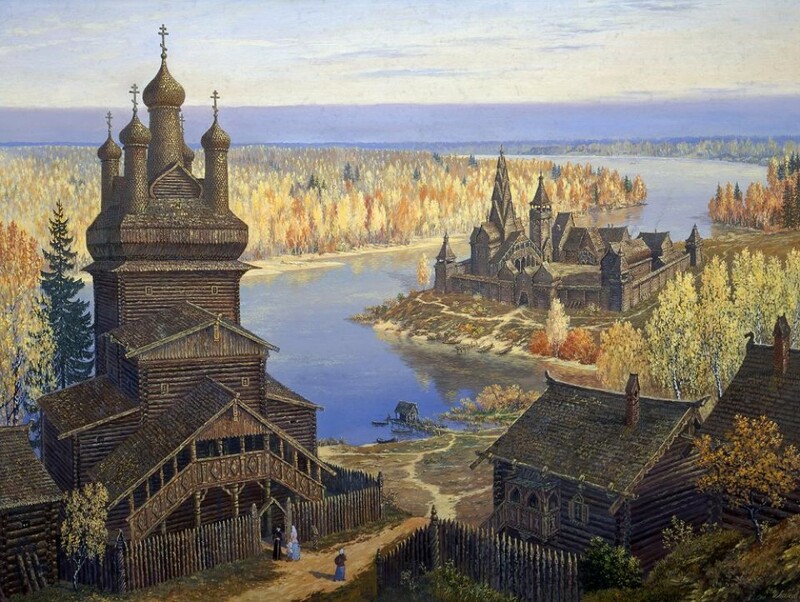 Thanks to Simon Phipp on the Mythic-Russia-Players list for bringing to my attention this webpage with over 20 paintings by Vsevolod Ivanov, a Russian artist with a particular passion for depicting scenes from Russian myth and folklore. Some are less historically accurate than others (I wish there had been armies of mammoths walking through Hyperborean pyramid-cities), but the colourful shrines and temples are especially effective depictions of this very different devotional architecture. No sedate stone churches here! Well worth a look, and useful pictures to illustrate scenes and places in a game — I’ll certainly be using them as such.